You can’t have a good gaming setup without a great gaming motherboard as our friends from Best Gaming Advisor demonstrated. The motherboard is the crucial component from where all gaming setups start, whether you are thinking about upgrading your current gear or completely building one from scratch. New technologies and innovations have lead to a change in the motherboards market, with AMD motherboards going out of favor and Intel emerging as the undisputed leader and making the rules. And the rules are pretty clear right now, X79 based motherboards are the best gaming motherboards due to their performance, while mid ranged Z77 or low priced H77 are for those looking for more affordable alternatives. We have a great mix options in our top 10 best gaming motherboards list and we are sure that you are going to find the best one for your computer, regardless of your budget and requirements. 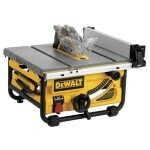 Our quick comparison table will allow you to get the basics of each model at a glance, while below you will find follow up reviews for each model. The perfect combination of a gaming motherboard that combines high quality and latest innovations in technology at a decent price, the ASUS Sabertooth Z77 is considered the best gaming motherboard at the moment. 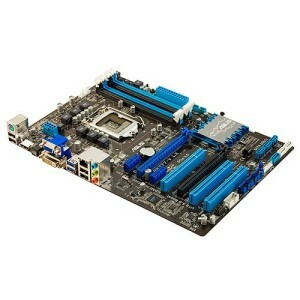 Built on Inter Z77 chipset, this motherboard brings to market some innovative technologies certified by military standards and you will be hard pressed to find a more durable and better quality motherboard than this one. With Thermal Armor Technology, Thermal Radar and Dust Defender you won’t run into any malfunctions any time soon. Has 32 GB of RAM, 6 PCI Slots, 4 Memory Slots and 10 SATA Connections. The GIGABYTE GA-990FXA-UD3 AM3+ is the first AMD gaming motherboard we review here, and we are impressed with its performance, trailing slightly behind the Intel based ASUS Sabertooth. Transmitting data at the highest speed is the defining factor for this motherboard thanks to its acceleration technologies and USB 3.0 support. 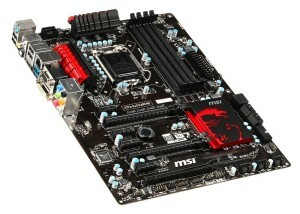 Similar to the previous model, it has 32 GB of RAM, 7 PCI Slots, 4 Memory Slots and 8 SATA connections. ASUS delivers once more when it comes to high performance gaming hardware, this time with an AMD based motherboard, the ASUS Crosshair V Formula-Z. 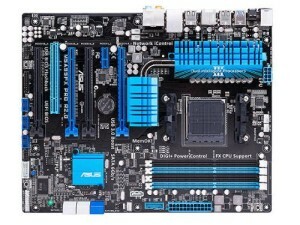 One of the first gaming motherboards that offers windows 8 support, ASUS proves once more that it’s at the forefront of new gaming technologies with the Extreme Engine Digi+ II that ensures the optimal efficiency, performance and stability. 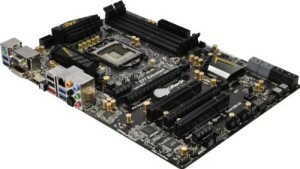 Similar to most of Asus’s motheboards, it features 32 GB of RAM, 6 PCI Slots, 4 Memory Slots and 10 SATA Connections. 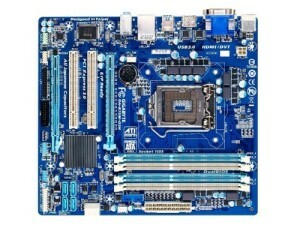 A new manufacturer entered our top 10 gaming motherboards list with the Intel based AS Rock LGA1155 DDR3 SATA3 USB3.0 Quad CrossFireX and Quad SLI A GbE ATX Motherboard. An overall amazing motherboard, is hard to find any negatives about it, especially since it comes at a very affordable price well under $200 if you purchase it from Amazon through our discount link above. It boasts 6 PCI Slots, 4 Memory Slots and 9 SATA connections. Once again, an Intel based Asus motherboard makes our top 10 best gaming motherboards list which is a testimony to the quality of the motherboards coming from this top manufacturer. The ASUS P8Z77-V LX motherboard boasts an Intel Z77 chipset and features the DIGI + VRM technology for increased stability, extremely precise power delivery and real time power control. One of the highest rated gaming motherboards on Amazon, with an average rating of 4.5 out of 5, it can be purchased for just $125 through our discounted link above. Comes with 32GB of RAM, 7 PCI Slots, 4 Memory Slots, and just 6 SATA connections. One of the most affordable gaming motherboards that made our top 10 gaming motherboard lists, the Gigabyte LGA 1155 Intel B75 can be purchased for under $100 and delivers decent quality for its price. 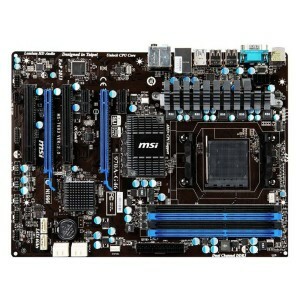 It has 4 PCI slots, 4 memory slots, 6 SATA connections and it’s based on the Intel B75 Chipset. With an average rating of 4.2 out of 5 on Amazon and plenty of satisfied customers, this is a worthwhile purchase if you are looking for a gaming motherboard on a budget. Another AMD based ASUS gaming motherboard, the ASUS M5A99FX PRO R2.0 offers Windows 8 support and an amazing 2 seconds fast boot due to its upgraded hardware. Available for purchase at around $150 and with an averate rating of 4.3 out of 5, this is a middle of the road option when it comes to premium gaming motherboards. If you are looking for a no drama experience and overall great stability and performance, the ASUS M5A99FX PRO R 2.0 is the perfect choice for you. 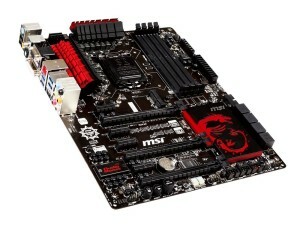 The last 3 gaming motherboards on our top 10 list come from the same manufacturer, MSI Computers. They do not have the same brand recognition as ASUS, GYGABYTE or ASROCK, yet, but slowly and surely they managed to gain their own customer base of loyal fans due to the high quality of their motherboards. The MSI Z87-G45 gaming motherboard has an insanely high rating on Amazon at 4.8 out of 5, which is relatively unheard of when it comes to professional gaming motherboards. With an Intel Z87 Express Chipset , 64 GB max RAMS and 3PCI slots, this is the gaming motherboard to purchase if you want the best MSI motherboard. If you are looking for something very affordable yet able to support your gaming needs, the North Bridge AMD 970 & South Bridge AMD SB950 Chipset ATX DDR3 800 AMD AM3+ Motherboards are available for purchase at just around $70 if you buy them through our discount link above. 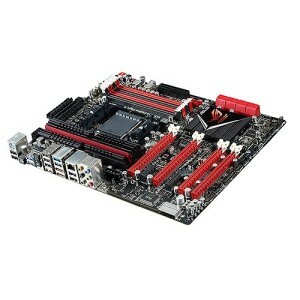 Using an AMD 970 chipset, this gaming motherboard features 6 PCI slots, 4 memory slots and 6 SATA connections. Last but not least, the MSI DDR3 1066 Intel-LGA 1155 Z77A-G45 gaming motherboard impressed us with one of the highest ratings on Amazon at 4.5 out of 5 and the reliable performance obtained when it comes to lag free gaming. 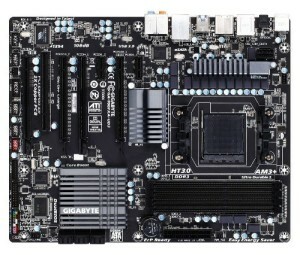 Based on an Intel chipset, this gaming motherboard has 4 PCI Slots, 4 memory slots but only 2 SATA connections. Still a worthwhile purchase.